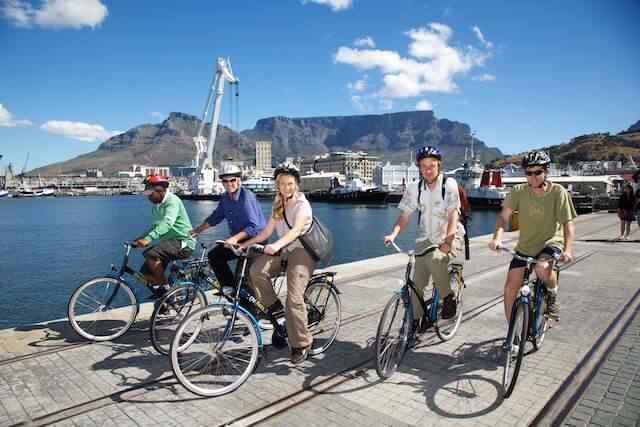 Leaving daily at 10am from the V&A Waterfront Information Centre, our city cycle tours, led by our experienced local guides, make cycling the only way to really experience this incredible city. 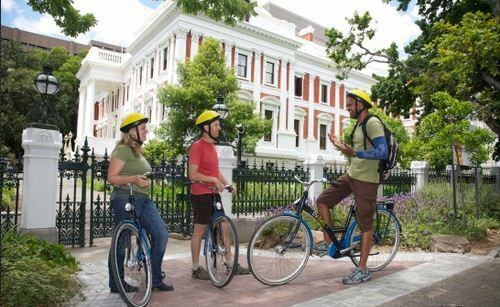 Learn about Cape Town’s rich heritage while riding from the vibrant Waterfront to the bustling inner city, getting up close and personal with the city and its inhabitants. 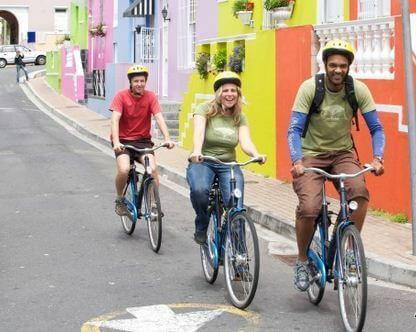 From the historic city centre, we cycle into the colourful Bo-Kaap and then make our way towards Green Point before heading back to the Waterfront along the Atlantic Seaboard. 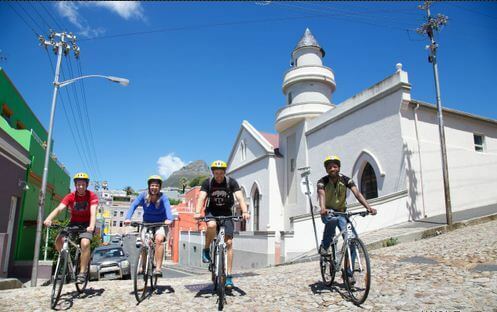 Led by experienced guides, our bicycle tours are relaxed, interactive and offer you an authentic approach to Cape Town’s cultural legacy and modern day life. Professionally guided tours depart from outside the Information Centre at the V&A Waterfront on a daily basis and last for 3 hours (tours may be shortened or extended on request). Very impressive from researching, booking, paying to arriving and during our stay. We felt very looked after, thank you.